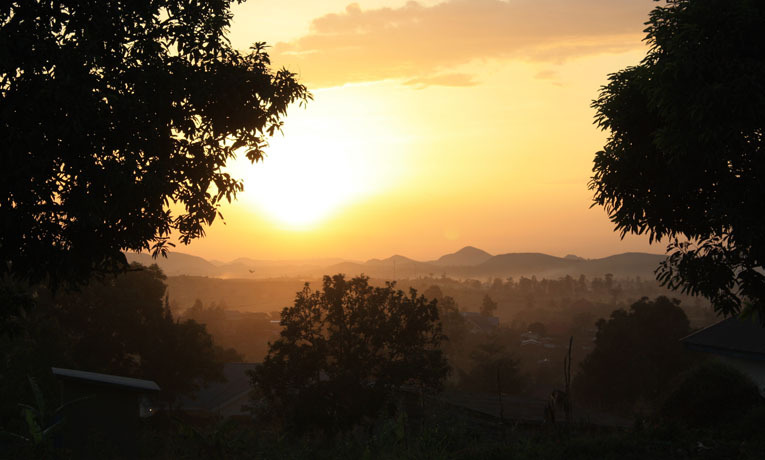 One of our staff in the UK talks about the church's response to the genocide in Rwanda. I’m writing this with deep pain, anger, shame, and sadness from Kigali, Rwanda, where just under two decades ago 1,000,000 people were slaughtered in the space of 100 days. That sentence on its own should be enough to make me draw breath, but unfortunately, as is the case so often in my media-bombarded life, I have become desensitized to the horrors that take place around me. However, being here and witnessing the atrocities of genocide and its aftermath is something that cannot be ignored. It’s something that blows away the cobwebs from my hardened heart and strikes like a sledgehammer. Since being here, I have met and shaken the hands of close to 100 different people. Imagine that each of those people is personally connected to the genocide in some way. No, stop. Don’t imagine that. It is a reality. Virtually every single person living in Rwanda today knows a close family member or friend murdered during the genocide. One million people isn’t just a statistic. It represents 1,000,000 individual murders—fathers, mothers, brothers, sisters, children—1,000,000 people now missing from life on earth. Standing among mass concrete graves that hold a quarter of a million people and reading the names of these victims written in stone is something that my mind cannot properly absorb yet. Seeing the thousands of smiling faces depicting those slain in photographs posted by surviving family members brings this horrific nightmare colliding into reality. Walking among troughs filled with skulls and bones of the deceased and seeing the tiny bones and crushed skulls of children beaten to death in this tragedy is a picture that I want to forget but somehow, hope and pray that I don’t. One million people in one hundred days. Innocent. Yet murdered. In cold blood. Churches were used as killing grounds. Places of refuge and hope were transformed into places of death and despair. People fled their villages and hid in the only place they thought would be safe. Many church leaders gave their people up to save themselves. Grenades were thrown in through broken stained-glass windows, vestry doors were locked, wooden walls were set on fire, and bullets were blasted through pews and altars. God’s people were massacred and burned alive in His house while the world and the church stood and watched. This is the shame that the nation of Rwanda and its church has as a legacy. Yet God is no respecter of legacy, no enforcer of reputation. Eighteen years have passed since this unimaginable obliteration of a people, and Rwanda is beginning to reclaim its beauty and dignity. The wounds are still there and the memories do not fade, but God is restoring the life that was prematurely snatched from this land. Samaritan’s Purse has been working with the Anglican church in Kigali, equipping local congregations to once again reach out to their communities with hope, compassion, and love. The church has helped families destroyed by grief, despair, and poverty to lift themselves out of the hell they have inhabited since 1994 and into a world filled with God’s promises of hope and a future. The Archbishop of Rwanda has a vision and a dream to see the church rediscover its divine place in the lives of the broken, its mission of restoration and transformation, its promise of true refuge to those in need. Like all Rwandans, he is acutely aware of the disgraceful legacy of the church during the genocide, but this does not deter him in dreaming, praying and striving for a new way. God is in this. God is at work. Samaritan’s Purse is preparing to equip the church in Rwanda to fulfill their destiny in being the hands and feet of Jesus to those in need across the entire nation, to restore brokenness and bring hope, to lift destitute families out of poverty and set their feet on The Rock of Ages. One 7-year-old girl’s last words before being beaten to death with a club were “someone will come and save us.” Although no one was there for her 18 years ago, the church in Rwanda is now standing in the gap and ready to become the true bride of Christ it was always meant to be. Although the memory of 1,000,000 people slain in 100 days will never disappear, the broken hearts, broken promises, broken families and broken lives can and will be rebuilt. God has not forgotten Rwanda, nor has His church, and nor has Samaritan’s Purse.